12.07.09 Metal Beach at Trip. Dysphemistic, Phavian and Shadowgod. Metal Beach at Trip every first Monday of the month. Look forward to some heavy music, from thrash to old school metal. Doors open at 5:00 p.m. and music at 8:00 p.m. Come down and support local bands. May 21st show included St. Vernon, Damaged Kids, Anesthetism and Chronic Remorse. 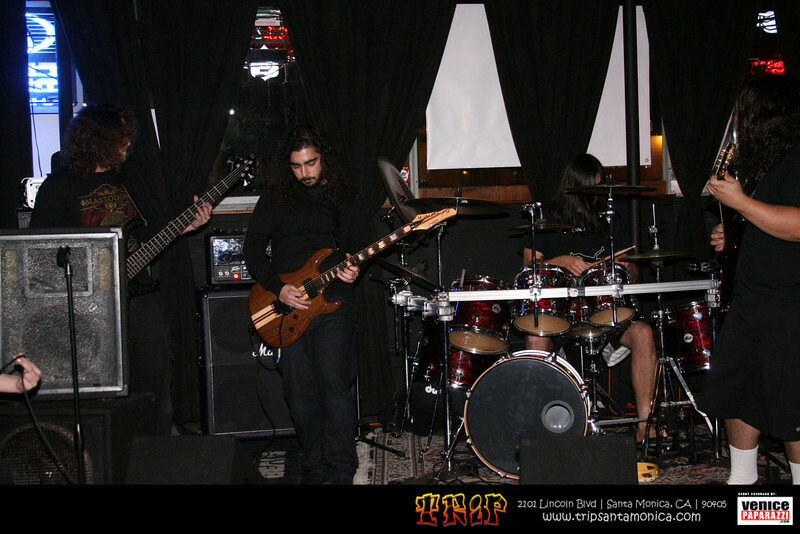 The August show featured Brewtality and Black Lotus. To make a cool night even cooler, Trip now offers hot deli sandwiches. Trip | 2101 Lincoln Bl. Santa Monica (2 blocks south of Pico next to Jack in the Box) | http://www.tripsantamonica.com.